My cousin took this photo of my sister (Yes, the squirrel like creature is related to me), but what I found interesting was the Nando’s napkin. 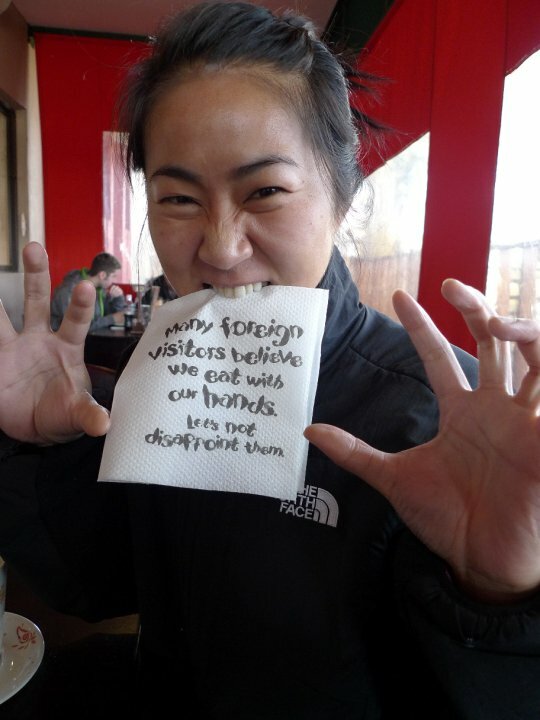 If you can’t read it, it says: “Many Foreign visitors believe we eat with our hands. Let’s not disappoint them.” Humorous and a clever use of the napkin. Not to mention this happened during the World Cup which makes it contextually extremely relevant. So what do you think?